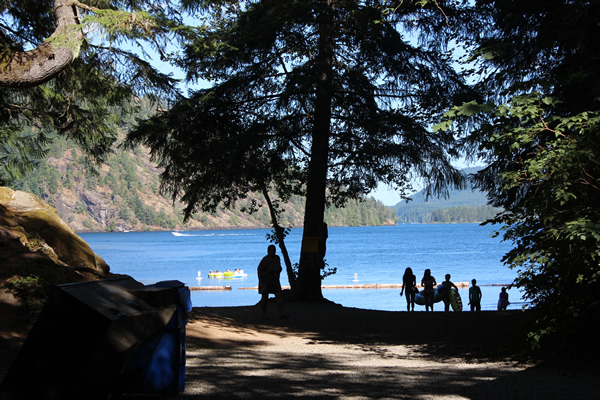 Gordon Bay Provincial Park at Lake Cowichan. Photograph by Adam Ungstad. Enjoy a fun-filled sunday afternoon with the family at the beach in the sun, or take the kids exploring for mushrooms, snails and other critters along a well-kept trail in the fall. Take a picnic lunch with you, enjoy a short bike ride, and spend time at playground close to the beach. 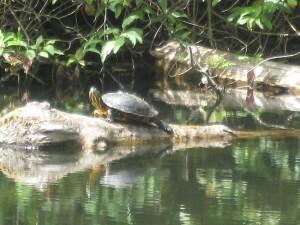 Western Painted Turtle at Durrance Lake in Saanich, Victoria BC. From fishing off of the pier at Glen Lake in Langford to swimming in the shallow waters at the beach at Durrance Lake to enjoying the playground at Prospect Lake, southern Vancouver Island has countless places to take the kids exploring outdoors. With 152 pages full of detailed maps, photographs and top ten lists this book tells you what lakes have facilities, beaches, playgrounds and whether the trail is accessible for strollers. 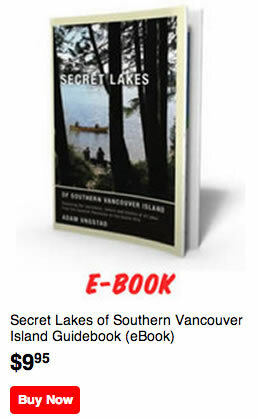 The Secret Lakes of Southern Vancouver Island Guidebook is a favourite for families on Vancouver Island. Get a copy and get outside!